A Ghanaian woman who uses the name Ahoufe Gifty on facebook and is said to be a resident of Ashaiman has become the most wanted lady this morning–as Ashaiman area boys are searching from house to house looking for her so she can fulfill her promise. 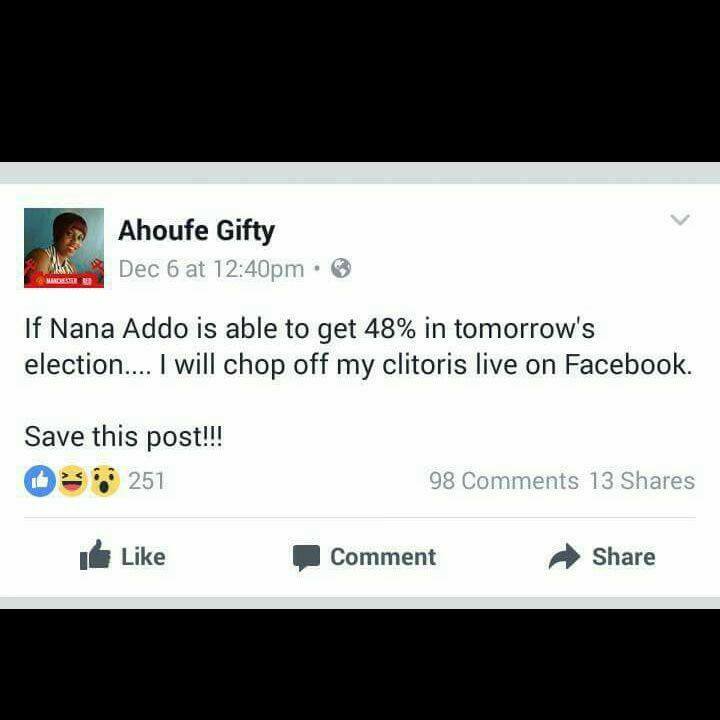 Gifty promised on Facebook that if Nana Akufo Addo gets even 48% of the votes in the 2016 Ghana’s election, she would cut her cl*toris live on Facebook. Now that Nana Akufo Addo got over 53%, she has become a ghost–leading to the wild on-going search.